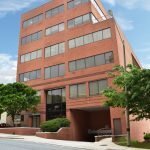 MacKenzie Management Company, LLC, the full-service property management arm of MacKenzie Ventures, is pleased to announce they have been engaged to provide property management and maintenance services for 305 Washington Avenue, Towson, Maryland. Owned by Blue Ocean Realty, the six-story, 53,000 square foot building is situated prominently in the heart of Towson, just one block from the Towson Row redevelopment. MacKenzie Senior Property Manager Kati Coles will be overseeing the project’s management efforts. MacKenzie’s brokerage team is also responsible for leasing efforts at the property, available space includes options ranging 1,100 – 2,800 square feet, ideal for medical or office uses. MacKenzie’s property management services will include managing both the day-to-day physical management of the property, as well as financial management of the investment. These responsibilities will comprise lease abstraction and administration, accounts payable and receivable, reporting, contracting and oversight of third-party service providers, and supervision and maintenance of the building systems. MacKenzie will address day-to-day concerns of tenants and provide first point of contact for all tenant-related concerns, enhancing landlord/tenant relations and ultimately strengthening the buildings’ long-term success. MacKenzie manages nearly 10 million square feet of commercial real estate space for a variety of local, regional and national owners spanning all asset classes. MacKenzie’s management strategies are customized, full-service plans tailored to the unique needs of each property and ownership group. Services can range from all-inclusive asset management to versatile a-la-carte services that can complement existing procedures. For additional information on MacKenzie Management, please visit www.mackenziecommercial.com.